When your growing family needs an upgrade to a roomy, comfortable and highly modern vehicle with the latest safety features, see the 2018 Honda Odyssey. Honda's 2018 Odyssey minivan is available now at Regal Honda, where Lakeland and Brandon, FL area drivers turn to for the very latest Honda models at competitive prices. 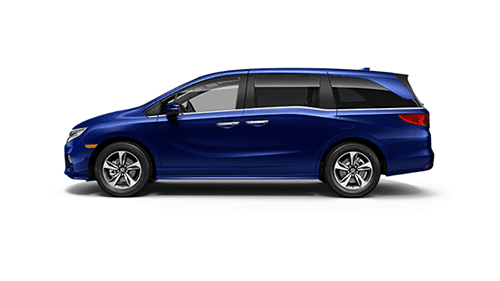 The Odyssey continues to set the standard for al other minivans, thanks to its advanced driver-assistive technologies as part of the Honda Sensing®, along with its smart storage and seating configurations that make this minivan a highly versatile and safe family vehicle. Tour and test drive a 2018 Honda Odyssey at Regal Honda, where our helpful Honda sales associates will tell you more about the available trim levels and amenities of this roomy minivan. So shop our online inventory of new Honda models now to find the ideal Odyssey for your family! Regal Honda welcomes drivers and families from Winter Haven, Florida and beyond to make the short journey to our Honda dealership in Lakeland to test drive and tour our selection of 2018 Honda Odyssey minivans in stock. Of course, our Honda dealership makes it easy for you to explore our new Honda vehicles from the comfort of your Florida home, too, thanks to our online inventory. As you shop our website before your visit, do not forget to see our current Honda lease and finance offers and consider getting pre-approved for financing with our secure online auto loan application. Every new Honda, including the 2018 Odyssey, gets Regal Honda's Lifetime Warranty! As a full-service Honda dealer, we are here for the routine maintenance or parts your Odyssey minivan may need down the road, so turn to Regal Honda for all of your automotive needs.